What Does Custom Sheet Metal Fabrication Consist of? Everyone knows that customized products are different from those manufactured using standard methods. However, when it comes to sheet metal fabrication, which entails making precision parts and components, you wonder what makes custom products so different. If you have some type of specific manufacturing challenge, you can use this information to determine if customized precision sheet metal fabrication is the right solution. Specialized Tools – With the exception of metal laser cutting, which uses a beam of focused light to create shapes and holes, custom fabrication requires special tooling. 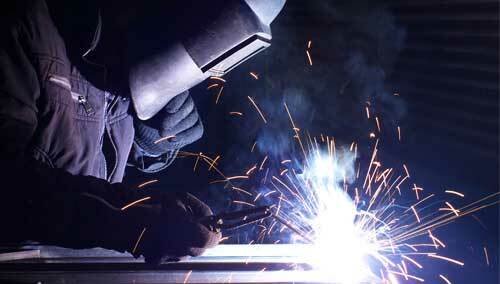 Fabricators can create an almost endless list of metal forms based on customer specifications. Design Engineering – Unless a customer provides a fabrication company with professionally engineered drawings, it would need to rely on services provided by the fabrication company. With customization, design engineering services are commonly included. Using the customer’s specifications and product tolerances, a team of experts can produce a perfect solution. High-Tech Equipment – To create intricate products based on custom specifications, a fabrication company must use the latest and most innovative equipment. These tools can accomplish just about anything. With customized precision sheet metal fabrication, you can expect to benefit in ways not available using a standard process. If you need parts or components for your manufacturing applications, the size and shape of a customized sheet metal form make it compatible with a broad range of hardware. Customizing products for a particular machine increases compatibility, which allows it to perform at optimal levels. Something else to consider is that using a customized part or component ensures it can withstand any stresses of your applications. Remember, companies make stock sheet metal products to a general standard. When customized using superior-quality metal, the product offers unique features. For instance, if you have a component made of alloy, it will naturally resist extreme temperatures, chemicals, and forces for your process, whereas a standard component would not. Increased process efficiency is yet another key benefit of doing business with the best custom sheet metal fabrication company in Toronto. Optimizing the design of a sheet metal form to a customer’s specific needs and for a particular application makes it possible to create a more effective and efficient process. Two examples include maximizing per load capacity and minimizing the amount of time needed to move from one process to the next. The fact is that many industries require customized metal products. For premium results, it is imperative to work with a reputable company that specializes in the type of fabrication service you need. For the best customized metal products, we can help. Weldflow Metal Products has years of experience in providing both standard and customized solutions. For more information, we invite you to visit our website. To discuss your upcoming needs, give us a call today. This entry was posted in Sheet Metal Fabrication and tagged precision sheet metal fabrication. Bookmark the permalink.